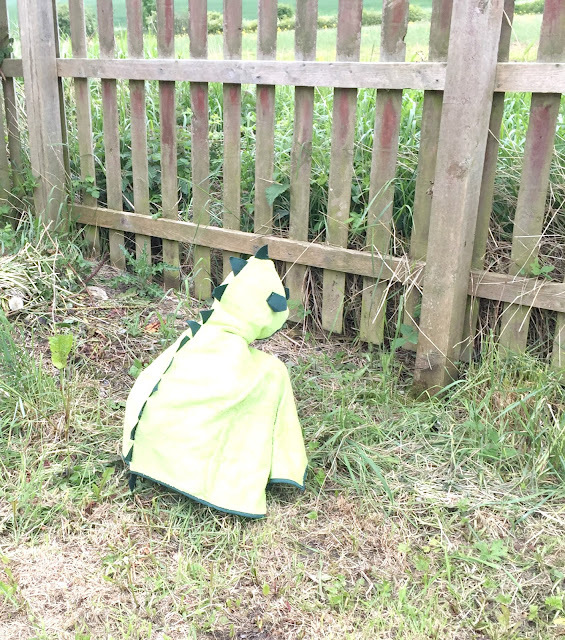 Now that it is nearing the end of May and the sun is shining (well some of the time) I have been busy buying my children lots of new summer clothing. When the weather is warmer we love nothing more then spending the day at the beach or splashing around in the paddling pool in the garden, so I knew that I would be needing to stock up on some new swimwear. When I heard of The Baby Swimming Shop I thought this was the perfect place for busy parents to stock up on swimwear essentials, ready for the summer or impending holidays. The Baby Swimming Shop is an online store selling a huge range of items for children aged 0 to 11 years old, stocking everything from swimwear, accessories and even wet suits and swim aids. They sell only reputable brands at competitive prices from brands such as Platypus Australia, SwimFin, Jakabel and Cuddledry to name just a few. When The Baby Swimming Shop asked if I would like to review some items from their site I really struggled on what to buy as there was just so many lovely products to choose from. 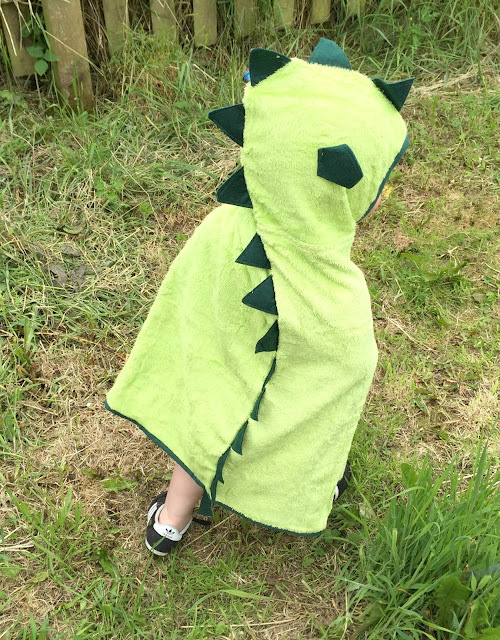 I was really tempted to buy one of the adorable sunsuits for my little two, but as we are not going abroad this year I decided to opt for some Platypus Australia swim trunks for my son and also a Cuddledry Roar towel. I thought that both of these items would be perfect for days at the beach, paddling in the garden or for when we take him swimming at the local leisure centre. 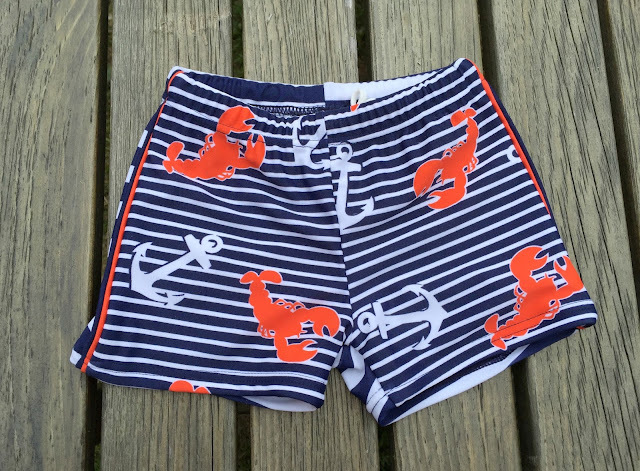 The Platypus Australia swim briefs £16.95 are in the lobster catch print and I love the design as it very nautical looking and perfect for a day at the beach. They offer UPF 50+ sun protection which will be brilliant for hot days or holidays. They are also chlorine resistant, breathable and quick drying which again makes them perfect for days at the beach or going swimming. I had planned on testing these trunks out at the beach or in the paddling pool but the weather has been awful here in Newcastle recently and we have had hardly any sun! I have tried them on J though and they are stretchy and a thick, high quality material and they have a rather luxurious feel to them. They also seem to be really comfortable on him and he can easily run around in them and seems happy wearing them - in fact he could not wait to put them on when he seen them and would not take them off! He is only one and is still wearing nappies and these fitted perfectly well over a swim nappy too. I also got a Cuddleroar towel £31.95 which is a few pounds cheaper than I have seen it elsewhere. Like most little ones J hates to get dried and just likes to run around wet after going swimming or in the paddling pool. When I spied this Cuddleroar towel I thought that this looked so fun and would hopefully encourage him to get dried and it is also perfect for taking swimming or to the beach as it is hooded and made from super soft bamboo fibre. 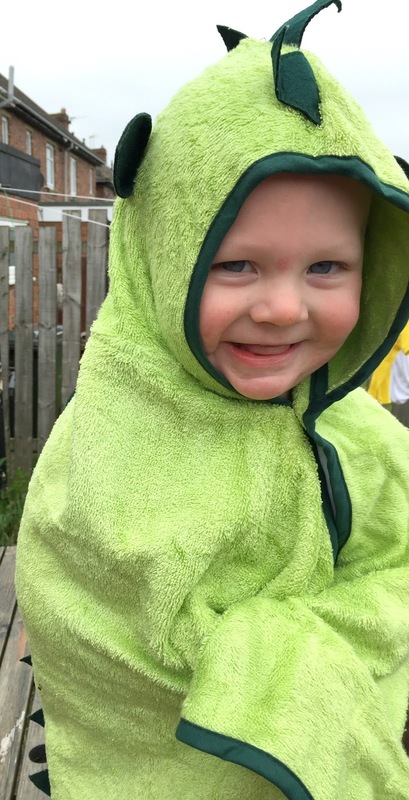 He thinks he is a dinosaur when he is wearing this - which he is really into at the moment. I really like that it has a popper under the hood area so that when he is running about the towel won't fall off. Overall I am really impressed with the items that we received as ordering was so quick and simple as the site is super easy to navigate and place an order. Delivery on orders over £50 is free and are delivered via royal mail within a few days. What I also loved about Baby Swimming Shop is that the site has lots of advice and they welcome contact from customers and will be happy to help you in any way that they can - it feels like a personal shopping experience and that they really care for their customers. When we go abroad next year I will certainly be shopping for all of my little two's swim wear from The Baby Swimming Shop as I love the look of the Platypus sunsuits and caps for keeping them safe from the sun at the beach. I also love the look of the Konfidence float suits for around the pool and the Swimfins looks like lots of fun as well as being a clever swim aid. Don't forget to enter the giveaway I have where one lucky reader can win £50 worth of Baby Swimming Shop goodies, but be quick as it ends on Sunday 29th May 2016 at midnight. Disclosure I received these items for the purpose of this review, however all opinions are my own.